Most likely WordPress will log you out of the administrative area and you will need to log back in. Success! That is all there is to it for a brand new WordPress Website. This step is recommended if you have an existing site. In particular if your site contains images, they will often not display when you switch from HTTP to HTTPS (SSL). 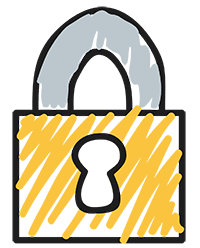 The reason is that a secured (SSL powered) website will block any non-secured resources or links. This is of course done for security reasons to make sure visitors have a consistently secure experience. Install and Activate the plugin! Alright!! Your site is just about secured! Keep reading! 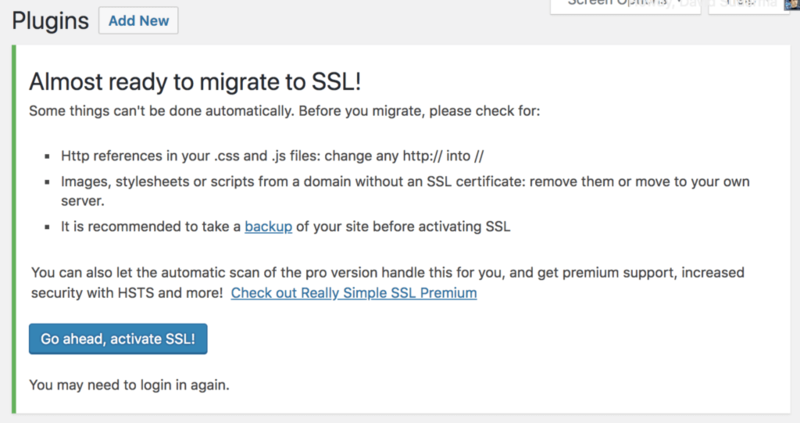 Press the “Go ahead, activate SSL!” button! That’s all there is to it!